Since I have been on the run the past two weeks for my other outlet, Jersey Streets, I have not had the time to crank out much fresh content. Luckily for me, we just took a nice three day trip to the Lake Champlain region of New York. Although we didn’t come across Champ, we did take a short ferry ride over the massive body of water to experience some local beer culture in Burlington, Vermont. Burlington’s craft beer claim to fame is Magic Hat Brewery, but we didn’t go to visit the known; we were there for the unknown. 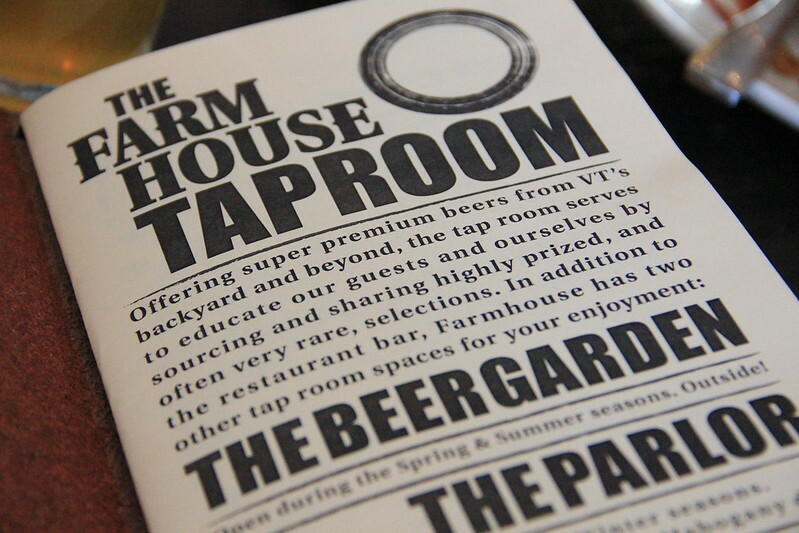 First stop on our list was a little spot called The Farm House Tap & Grill. An excellent example of farm-to-table, with all ingredients coming from local farms and everything on the menu being made fresh and in house. 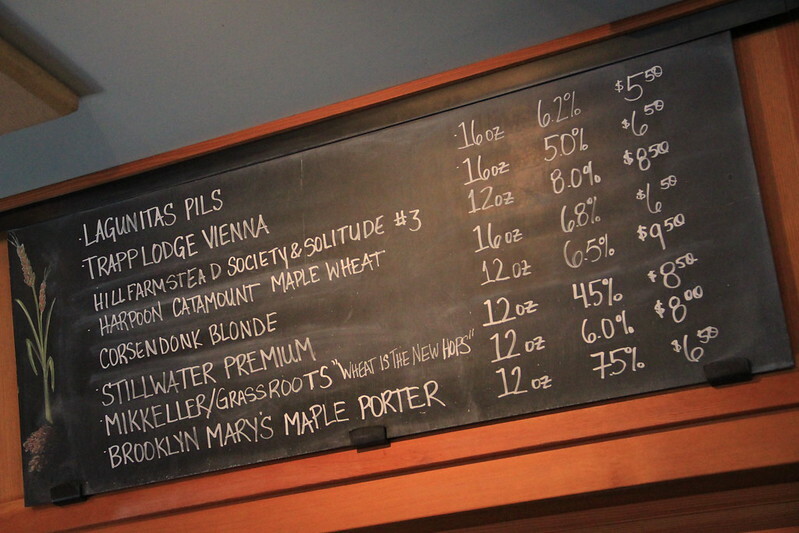 The chalkboard menu presents a diverse selection of local beer from Vermont breweries, along with a few out-of-towners. I just love rustic styled restaurants. 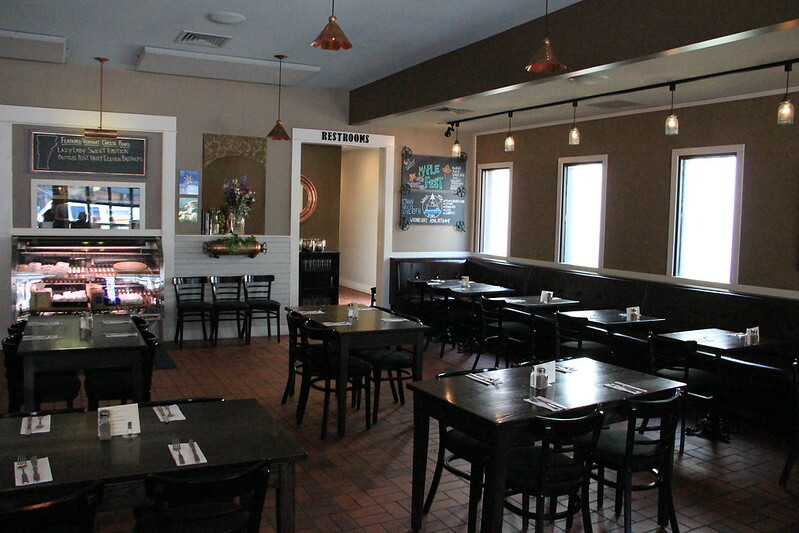 Farmhouse Tap & Grill keeps simple in mind and does not overdo the decor. 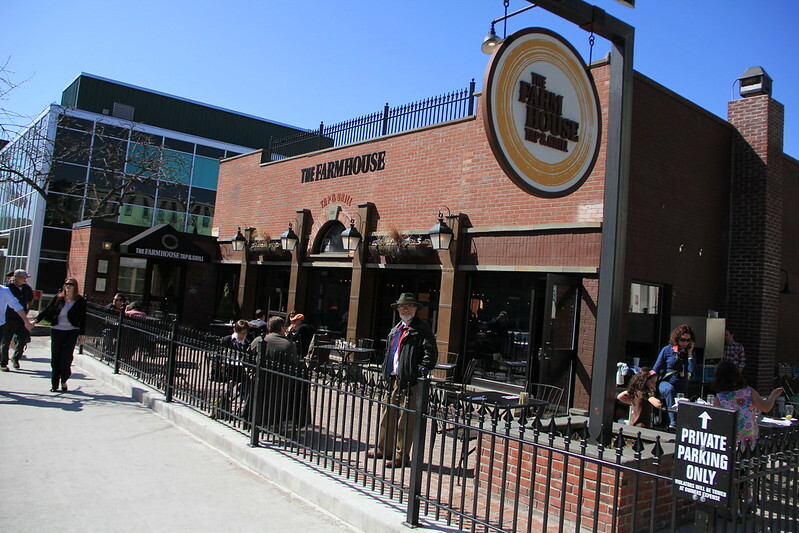 The garage style doors have me looking forward to coming back during the warmer months – plus the abundance of seasonal items they will have on the menu, which goes without saying. 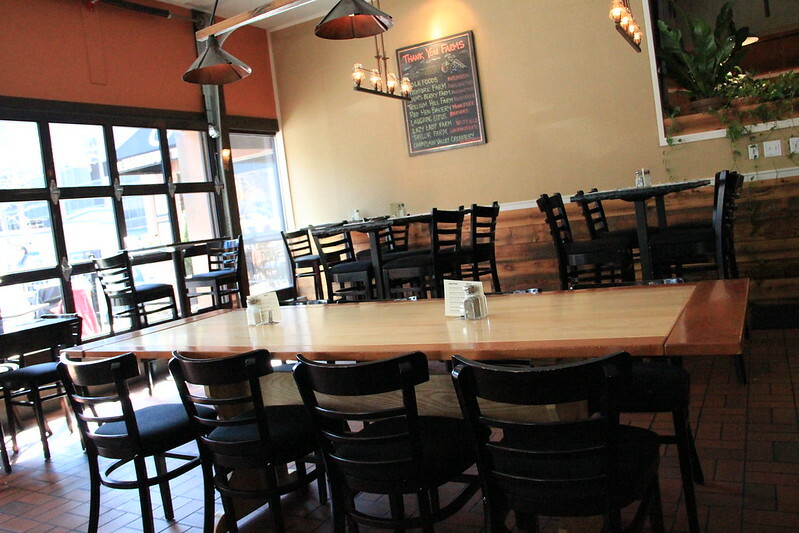 They have an ample amount of Â seating inside without feeling overcrowded, or you can always sit outside on the patio and enjoy the fresh Green Mountain air. 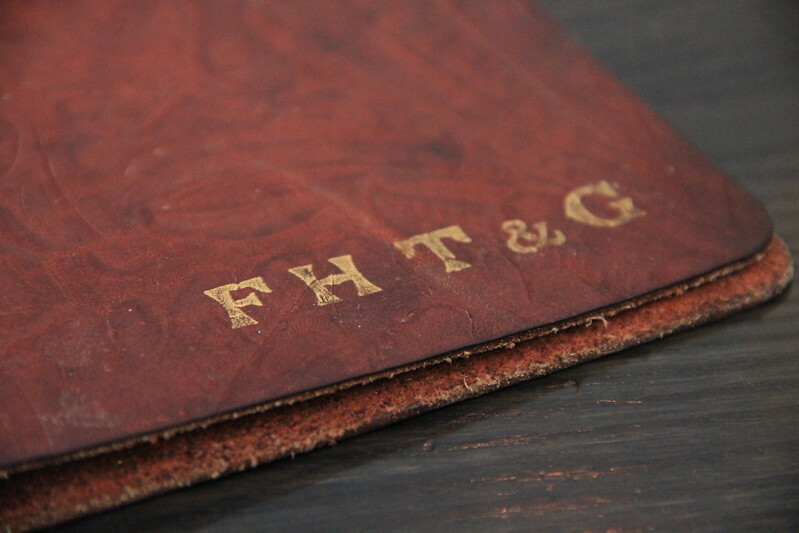 After checking out the space, it was time to order a beer from this awesome leather bound menu provided by Burlington’s own Champlain Leather. 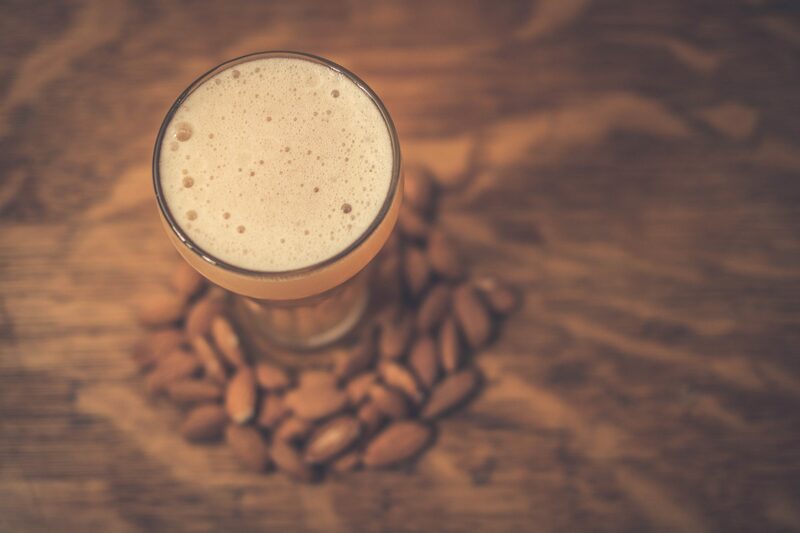 FH T&G has twenty four taps in total that keep on rotating, with an emphasis on local brands such as Long Trail, Fiddlehead, Hill Farmstead, and Lawson’s Finest Liquids. They also have two hand pumps for cask beer, although sadly they were not flowing this day. 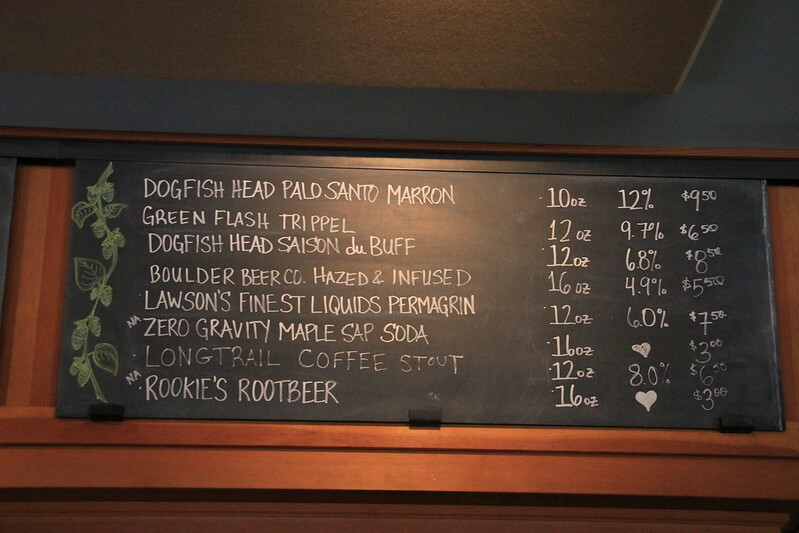 Seeing some other suspects on the menu such as Mikkeller, Lagunitas, and Green Flash is just another confirmation that FH T&G really cares about the quality of brews served. 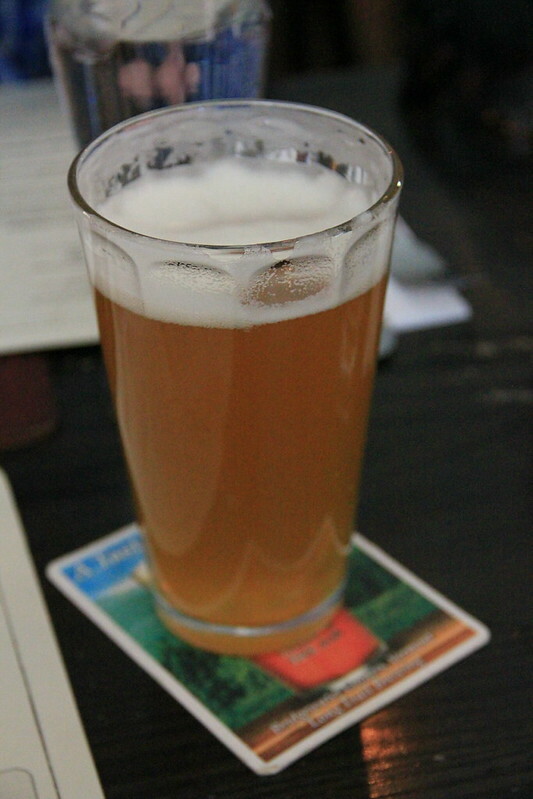 Since we were going to be headed there later in the day, I decided to get familiar with the Fiddlehead IPA. We will give you the full scoop on this brew and the brewery in an upcoming post. 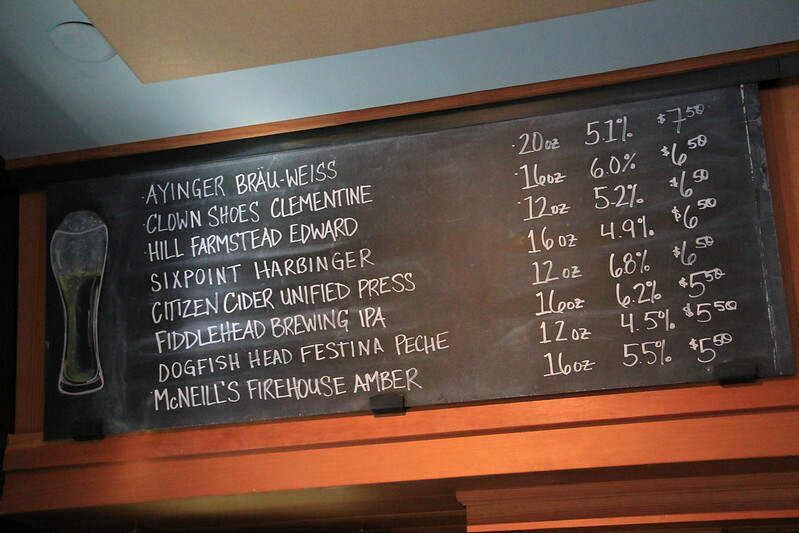 Others at the table went for the Hill Farmstead Edward. 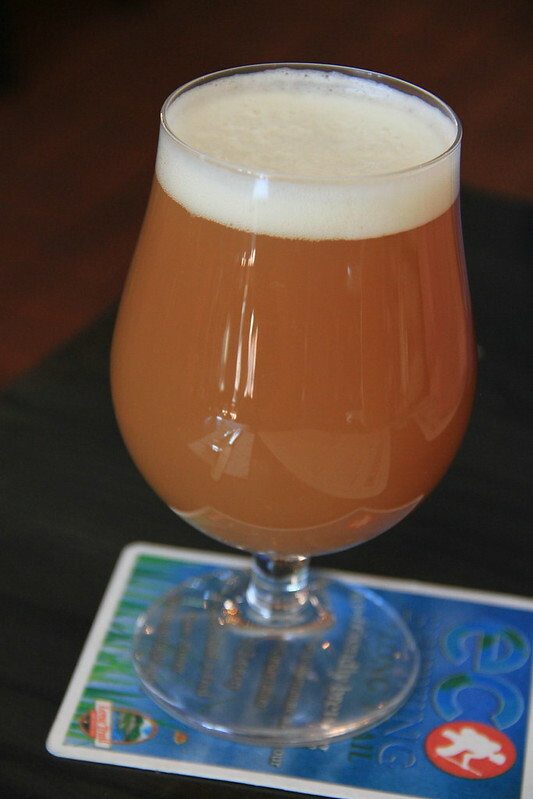 Yes, the beer is cloudy; Vermont loves their unfiltered ales. 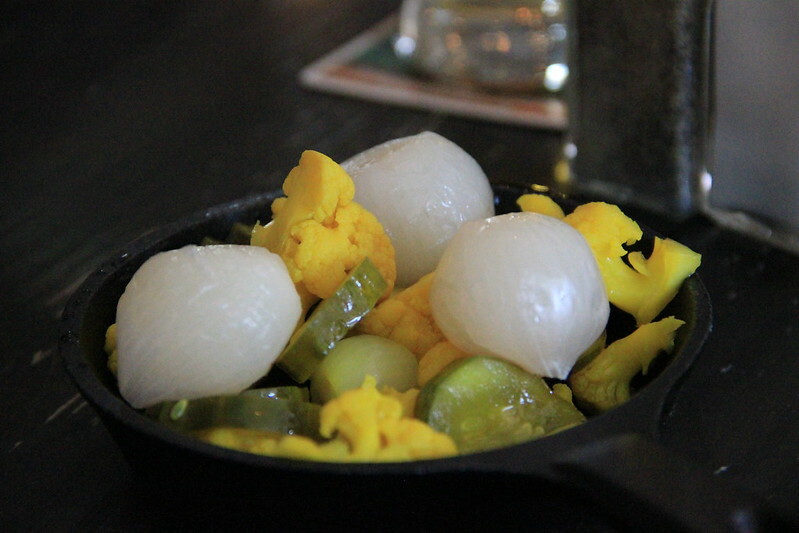 Appetizer time – We decided to go for the house pickled vegetables: a medley of cauliflower, pearl onions, and cucumbers, of course. 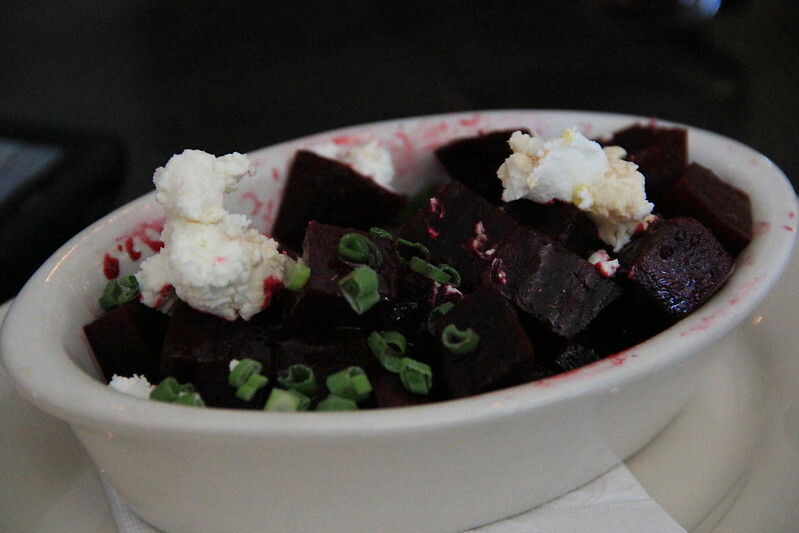 We also tried the beets with chives and Doe’s Leap chevre. Both dishes were excellent and a great way to start the meal. It’s great to see the farms getting recognition for their work. 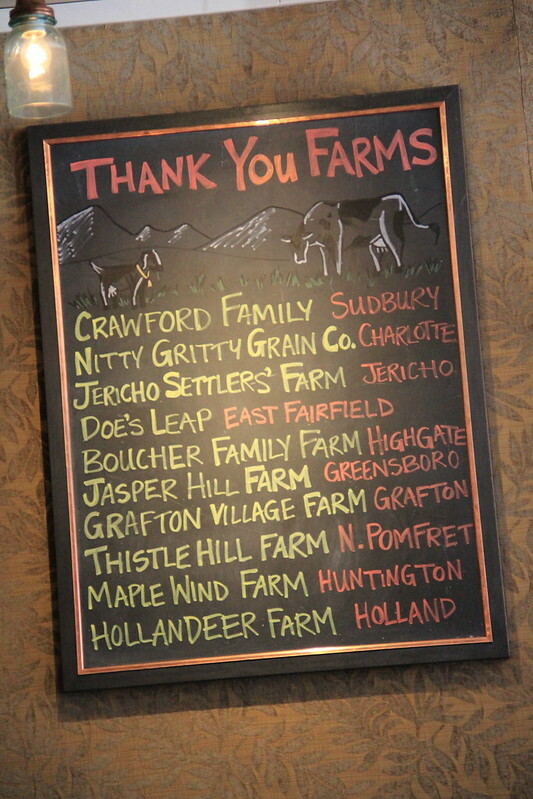 FH T&G has these signs throughout the restaurant to let patrons know which local farms their ingredients are coming from. 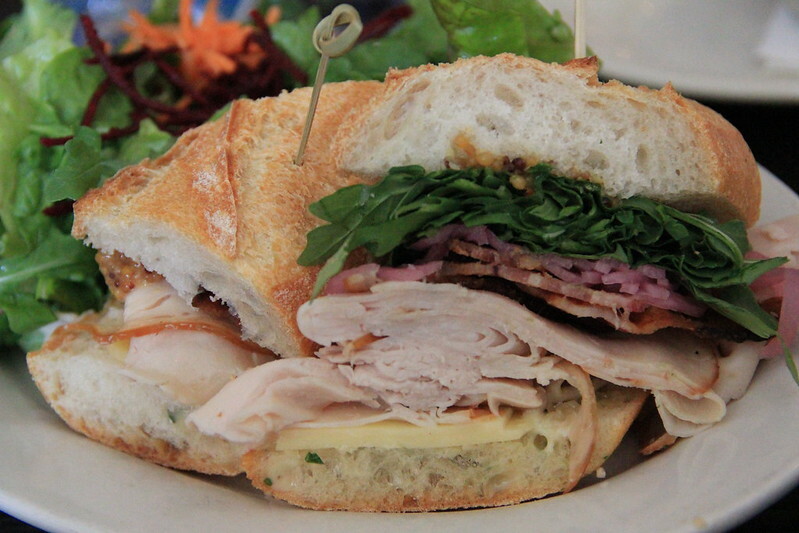 Coming off those tasty appetizers I jumped right into my lunch – the Vermont smoke and cure turkey sandwich. Vermont smoked and cured bacon, arugula, pickled red onion, herb aioli, house honey mustard, and grafton cheddar cheese, all on local baked bread from Vermont’s Red Hen Bakery. 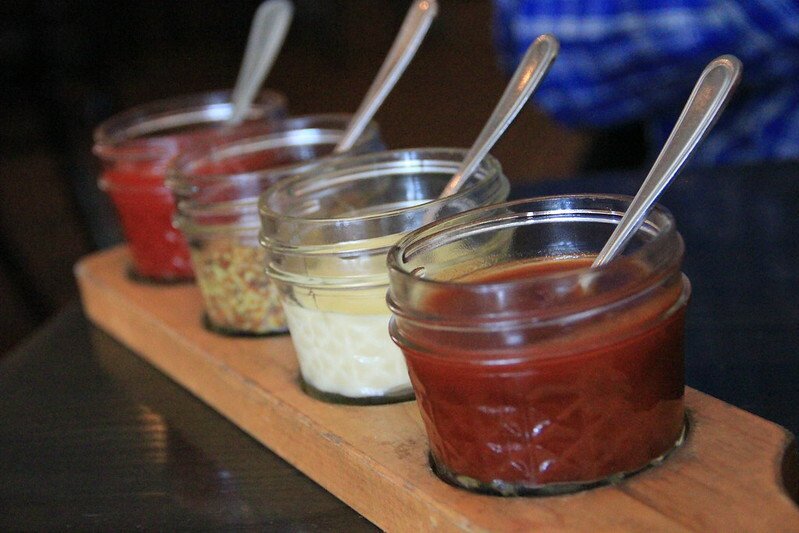 All dishes come with a nice display of condiments which are all made in house. Ketchup, stone ground mustard, herb aioli, and a BBQ sauce that is to die for. The rest of the gang opted for the Jerichos Settlers farm beef burger. Bailey hazen bleu cheese, arugula, pickled jalepenos, and sage brown butter served on a house bun with a side of amazing onion jam. 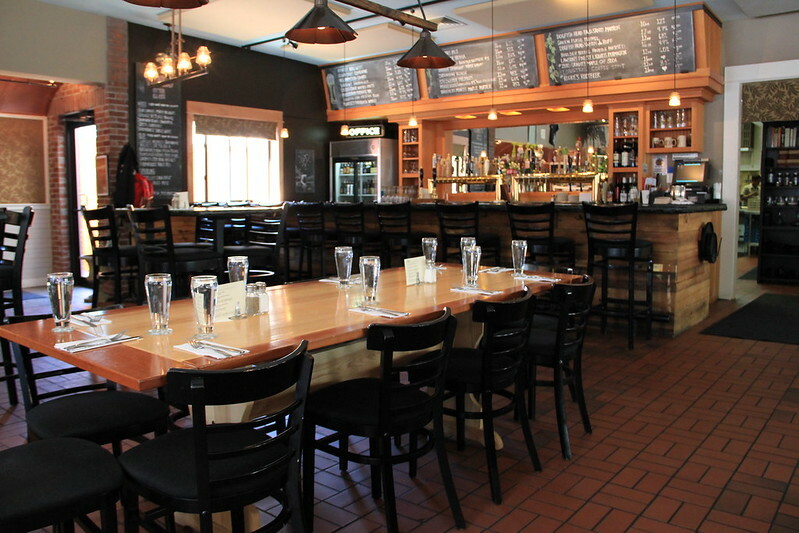 The farm-to-table trend is becoming quite popular in rural markets and The Farm House Tap & Grill is an example of one done right. 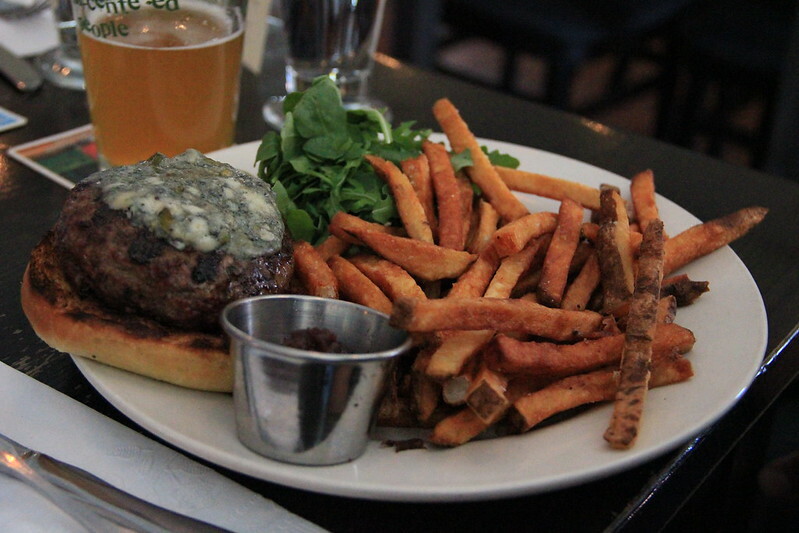 Fresh food with an amazing selection of craft beer should be enough for anyone to put this on their radar when visiting Burlington Vermont. The service was excellent and I can’t wait until our next visit. 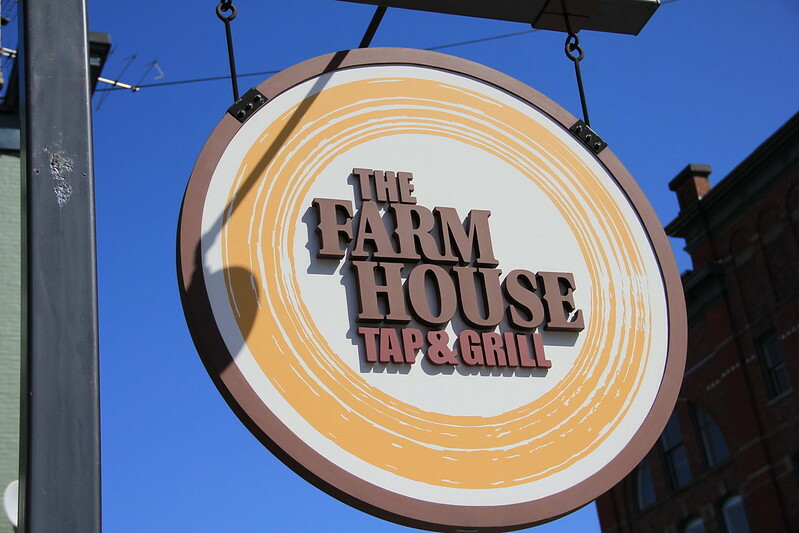 For more information on The Farm House Tap & Grill, please visit their website as well as their Facebook for upcoming events and specials.